Students begin by viewing photos of the Grand Canal, a massive achievement of medieval China. Then they explore the Sui, Tang, and Song Dynasties. Next, they work in small groups to report on various aspects of ordinary life during ancient or medieval China. Finally, they read a primary source‚Äîa Tang emperor‚Äôs musings on what makes a good ruler‚Äîand give reasons why they agree or disagree with the author. In this experience, students begin by viewing photos of the Grand Canal, a massive achievement of medieval China. Then they explore the Sui, Tang, and Song Dynasties. Next, they work in small groups to report on various aspects of ordinary life during ancient or medieval China. Finally, they read a primary source—a Tang emperor’s musings on what makes a good ruler—and give reasons why they agree or disagree with the author. This experience contains a lot of content. You may choose to teach it over two sessions in order to spend adequate time on the various elements of the Sui, Tang, and Song Dynasties. 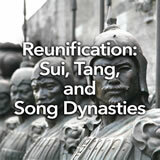 Describe the social, political, and economic development of the Sui, Tang, and Song Dynasties. 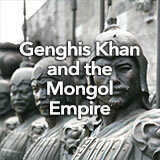 Analyze significant features of medieval Chinese society. From 581 C.E. to 1279 C.E., three dynasties oversaw a period of progress that made China perhaps the most advanced civilization on Earth. 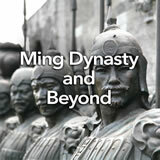 In this experience, you’ll learn about the Sui, Tang, and Song Dynasties. It’s the world’s oldest man-made waterway—and still the longest. It was begun in 486 B.C.E. and wasn’t finished till 609 C.E.—more than a thousand years. It took three million forced laborers to finish, and half of them died from hunger and overwork in the process. Today, people still live and work on it. Goods are transported on it. Tourist boats float on it. Yet along parts of its length, it’s almost forgotten. It’s the Grand Canal of China, a construction feat almost as mammoth as the Great Wall. Look at the photos in the article Beijing’s Extraordinary Grand Canal to get glimpses of how it looks today. Tell students that the Grand Canal is only one example of the achievements that made Chinese civilization more advanced than Europe during the Middle Ages. They’ll learn about more such achievements in this experience. Interested students might want to read more at The Grand Canal.